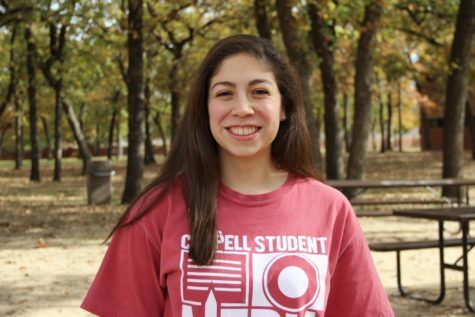 Many teenage leaders, such as the Coppell High School Red Jackets, are praised for their positions yet many do not display the qualities of a true leader. Because of this, “leadership” needs a redefinition. Photo by Karis Thomas, Graphic by Kaylee Aguilar. Our society hails teen leaders…just not always the right ones. Schools and communities love those with the loudest enthusiasm, those who scream for attention. Additionally, there is no quality more lauded by college admissions than leadership. However, the way we define “leadership” and the way we determine who “leaders” are is flawed. 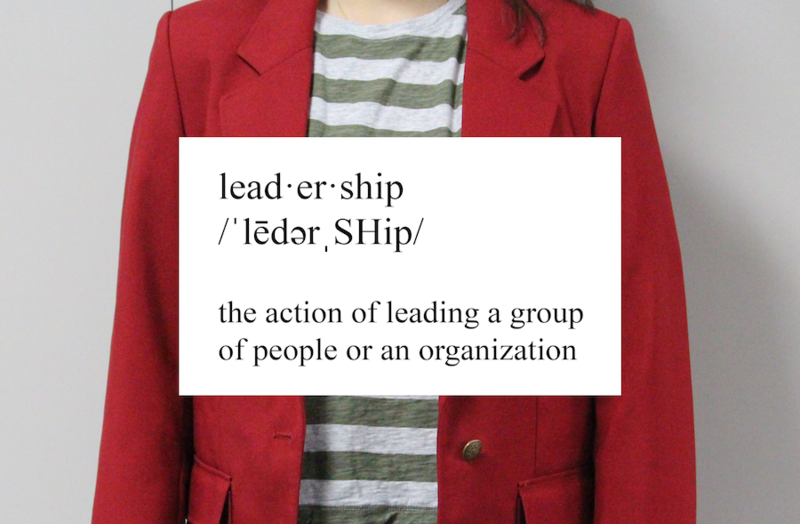 As a Coppell High School Red Jacket, I have noticed that though many teen leaders are able to direct large groups and make decisions on the spot, they are often only in leadership positions for the sake of building their resumes or for looking good in front of others. In many cases, I have seen that these “leaders” are also the first to make poor decisions and participate in immoral activities. They are loved by adults and those who they lead, but their peers know another side to them. The side that gossips and drinks and lies about how good of a person they are to the rest of the world. But they are still regarded as leaders because of the way they make their presence known to others. As a whole, it seems that leadership is about those who have the loudest voice or the most eccentric personality. But what about the quiet students? What about those who naturally seem to follow? They lead in their own way. They do not have the biggest voice and not everyone knows their name, but they can still be leaders. They work diligently in class, they manage their time, they are patient with others and above all, they lead by example. This is the hardest form of leadership but it is the most essential. It requires one to act in a way they wish others would, even if no one seems to follow. Often, leading by example receives no recognition. It can be frustrating and seemingly fruitless, yet it is crucial. As the oldest on my synchronized swimming team of all girls, many of whom are teenagers, I am learning how hard it is to lead by example. I am often the only one warming up in the pool while my teammates are still outside gossiping and giggling about the events of their weekend. I quite literally do not have the loudest voice on the team yet I constantly strive to lead through my quiet actions rather than just my words because this is what I think matters most. Overall, leadership is not about resumes or titles or even about social merit. It is about confidence. It is being confident in knowing what you need to do in order to better yourself and those around you. It is doing what you need to be successful even if you stand alone. Additionally, it is knowing how to be decisive under pressure and how to guide others through any uncertainties they have. With confidence, people naturally become role models that others turn to for guidance. They gain leadership positions among their peers that require no title and no application, as they become the person with the answers and the person who can comfort others. All that is needed is a sense of independence and willingness to take the steps needed to accomplish their own goals and to better those around them. Confidence allows even the quieter students to lead because it does not require a flashy personality, only self-assurance. As long as a person knows how to accomplish what is in their best interest and in the best interest of others, they are a leader. Many teen leaders I can think of do not fall under this description. I have often thought about pointing this out to them, but I have not out of fear of altering our relationship. Perhaps I just need that bit more of confidence to do so. Speak! Too many leadership positions are grabbed by people more concerned with their own ambition than the good of the people they are supposed to lead. Go read Sylvia Plath’s “Mushrooms” for a good take on the quiet kids. Great piece!